Samsung have announced an addition to its Smart Home portfolio, a new Wind-Free air conditioner, to be launched at CES 2017, Las Vegas. 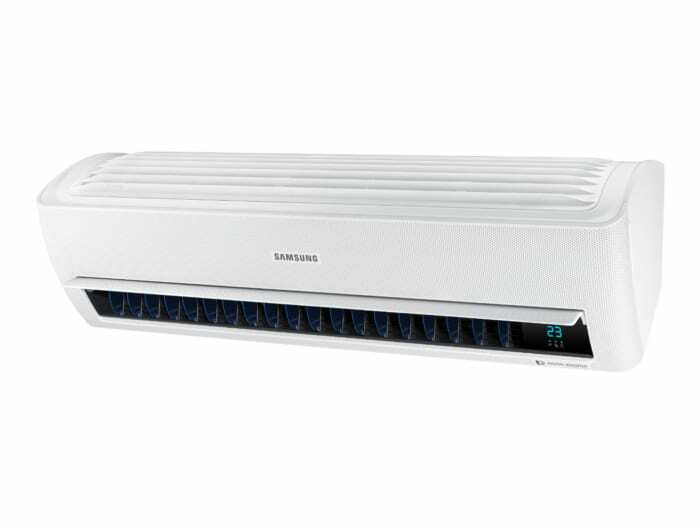 The AR9500M air conditioner has Samsung’s Wind-Free™ Cooling technology – resulting in cooler indoors whilst being more energy efficient. The AR9500M is a wall mounted unit that is able to disperse cold air through 21,000 micro air holes using two modes – “Fast Cooling Mode” and then switching to “Wind-Free™ Cooling Mode”, which is up to 72 percent more efficient than Fast Colling mode. The innovation within the AR9500M does not stop there as we also have Integrated WiFi and we are Informed the Tizen Operating System beating at its heart. Using this combination you can control the unit from anywhere using the Samsung’s Smart Home app. You can adjust settings, temperature, receive daily performance, energy, and energy usage updates. The unit is also able to send notifications about its repair status. It is thought that this new air conditioner will Integrate with Samsung’s Smart Home SmartThings platform, but we have not been disclosed this Information at the moment. You can see this device for yourself at Samsung Electronics’ booth at Level 1, Central Hall Booth #15006 of LVCC from January 5 through 8 for CES 2017.